San Miguel de Allende announces the beginning or a monthly event that could revive the economy and enhance tourism, national and international in SMA. Many cities in North America adopted the tradition of First Friday "art walks", in which the town's art galleries and artists' studios will open their doors into Friday evening. The idea is that galleries will attract people to the downtown and enrich the art community by pooling their openings together into one monthly evening. Who will benefit? All the participating galleries in SMA plus restaurants, coffee shops, stores, street vendors, musicians and performance artists. 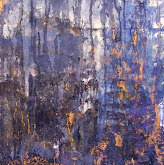 Among the cities with art-oriented First Friday events are: Albany, Anchorage, Augusta, Bellingham, Binghamton, Burlington, Chicago, Columbus, Denver, Honolulu, Indianapolis, Juneau, Kalamazoo, Kansas City, Knoxville, Lincoln, Louisville, Las Vegas, Minneapolis, Scranton, Oakland, Philadelphia, Phoenix, Pittsburgh, Raleigh, Richmond, Rochester, San Antonio, San Jose, Santa Rosa, Spokane, Tallahassee and many more. Richmond, VA, US is among the largest First Fridays art walks in the US, it draws nearly 20,000 people from all over the state of Virginia and nation, showcasing its artistic side and opening restaurants and art galleries all over town. First Friday Art Walk has proven such a success that people make it their traditional destination on the first Friday of the month, month after month. 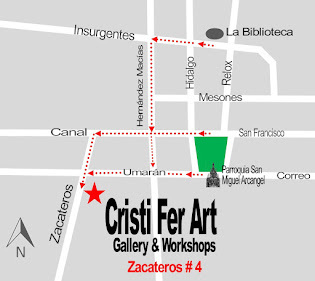 A list of participating galleries and businesses will be posted at www.artesanmigueldeallende.com. Your participation is welcomed and will make this new monthly event a success for your business and San Miguel de Allende, Guanajuato, Mexico! Lets let the World know that San Miguel de Allende, The Heart of Mexico, and Cultural Heritage of Humanity City is a number one touristic destination.